Uncomfortable Faith, Unsnatchable People – A Sermon For Easter 4C, John 10:22-30. The collect and readings for the Fourth Sunday of Easter may be found here. The appointed gospel is John 10:22-30. “It was winter,” John tells us. What is the worst winter you have ever experienced? Do you remember what it was like? Drab gray skies that offered no real light or color. Wind that would sting and turn the skin red. Cold that allowed no warmth and seemed to take away life. The numbness of your body. Fingers and toes that had lost their feeling. The crunchiness of a hard and frozen ground. Leafless trees and bare yards that showed no sign of life or growth. We have all experienced winters and if we are not careful we will hear John’s statement as just a statement about the weather and the time of year. But John is not simply describing a season of the year. He is describing a season of life, a season of our faith. That it is winter is not a comment on the weather. It is a diagnosis of the interior condition, the faith, of those who have gathered for the Feast of Dedication. The Feast of Dedication, or what we may more commonly refer to as Hanukkah, celebrates the liberation of Jerusalem and the temple from the Syrian king, Antiochus. This king had desecrated the temple. He built an altar to Zeus and sacrificed pigs on the temple altar. Hanukkah celebrates the day that Israel regained control of the temple and reconsecrated it to the one true God, the God of Israel. For nearly two hundred years they had gathered each year. Year after year they gathered, they remembered, they celebrated that day the temple was reconsecrated to God. The problem is that they failed to give themselves back to God. They stand frozen in the past. Their hardened hearts cannot hear Jesus’ words, understand his works, or recognize who he is. They fail to experience the eternal life of God in the here and now – in the changing of water into wine, in the feeding of the 5000, in the healing of the lame and sick, in the raising of Lazarus, in the commandment to love God and each other. This is not, however, only a Jewish problem. This is your problem and my problem. This is the human problem in relationship with God. Far too often we consecrate, we set aside and give the exterior temples of our lives to God but keep our hearts for oursleves. So doctrine becomes a means of exclusion rather than a path to God. Scripture becomes a weapon rather than the revelation of God’s life with God’s people. Neighbors become enemies to be feared and destroyed instead of enemies becoming neighbors through love. Life becomes ritual instead of sacramental. And why not? Why not simply consecrate our exterior temples? After all, it is always easier, safer, and more comfortable to consecrate the external parts of our lives than it is to risk consecrating our hearts, our interior temples, to God. To consecrate our interior temples would change how we see, hear, know, believe, and live. It would be uncomfortable to say the least. Jesus is not excluding anyone. We do that to ourselves. If we do not belong it is only because we do not hear as evidenced by the request, “Tell us plainly.” “Tell us plainly” is more a statement about our hearing and listening than it is about Jesus’ words and speaking. “Tell us plainly” are the words of a frozen people. It is winter in our hearts. It is winter in our spirit. It is winter in our seeing and hearing. It is winter in our believing and knowing. It is the worst winter we can experience. “Tell us plainly” reveals that we have become too comfortable in our faith, too comfortable in consecrating only our exterior temples. That is a risky place to be. The danger of a comfortable faith is that we can be snatched from Jesus’ hands. If anything the faith to which Jesus calls us should make us uncomfortable. Go read the Beatitudes: blessed are the poor, those who mourn, the meek, those who hunger and thirst for righteousness, the merciful, the pure in heart, the peacemakers, those who are persecuted for righteousness’ sake. 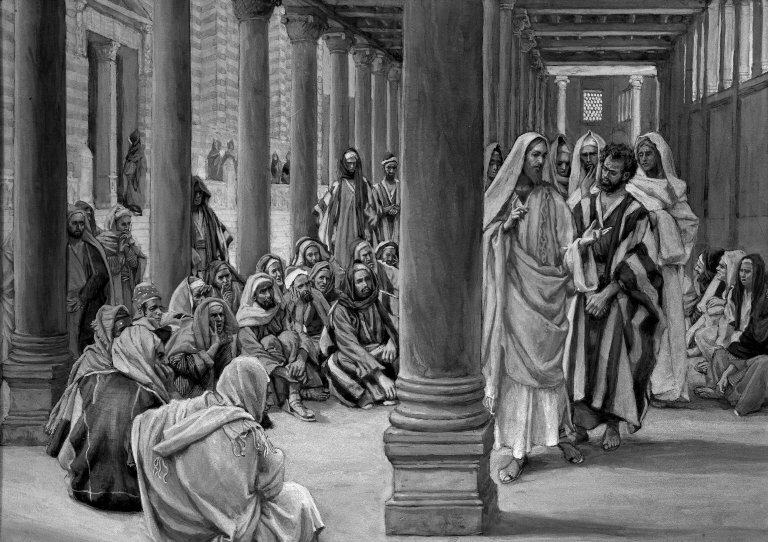 Listen to Jesus’ words: love God, your neighbor, and your enemy; do not worry about your life or tomorrow; turn the other cheek; do not judge, sell your possessions and give to the poor; take up your cross; show mercy like the Good Samaritan; forgive seventy times seven; wash each others’ feet; follow me. If that does not make us squirm just a bit, feel uneasy, maybe reexamine our lives and priorities then perhaps the temperature is starting to fall. The uncomfortable faith to which Jesus calls us is nothing less than God’s own life, eternal life, right here, right now, in this world, in your life and in my life. It is a quality of life that never perishes. It make us the “unsnatchable” people of God. Thank you, you have written the thoughts and meditations of my heart and head praise God. Wishing you God’s blessings on your ministry. Kaye, I am glad to know the sermon resonated with you. Thank you for reading my blog. Estera, thank you for reading my blog and sharing it with the Sunday school class. I hope it is helpful. I love the creativity and teaching with the children. It is engaging and participatory, the best way of learning. Easter blessings to you and your parish. Previous Previous post: A Sermon for Easter 3C, John 21:1-19. Dark Night Fishing or Resurrection?